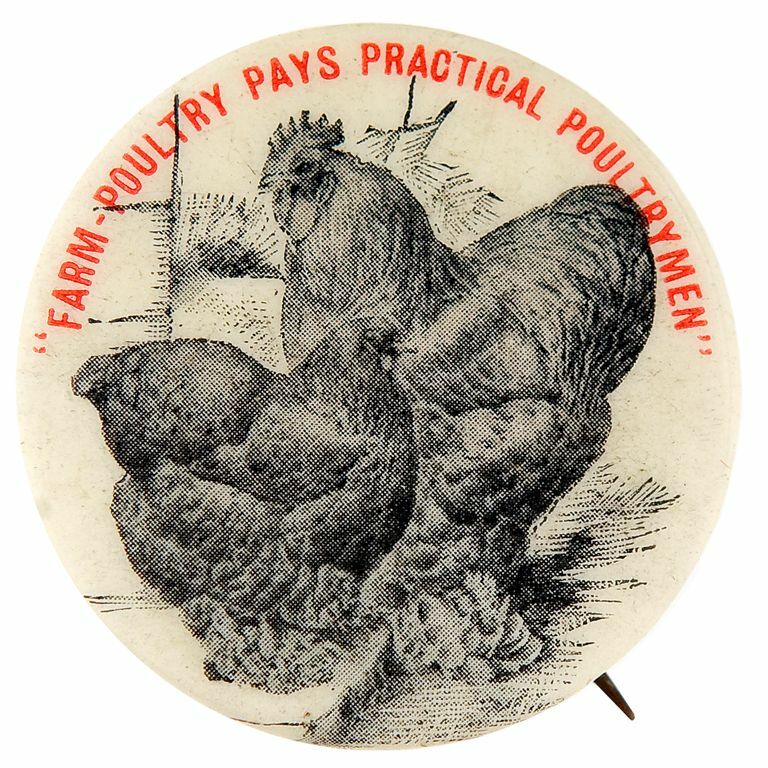 Item Detail - "FARM-POULTRY PAYS PRACTICAL POULTRYMEN" 1897 MAGAZINE AD BUTTON. 1.25" promoting poultry industry publication. Moderate age over W&H back paper used only in 1897. Cello is Near Mint displaying Mint.